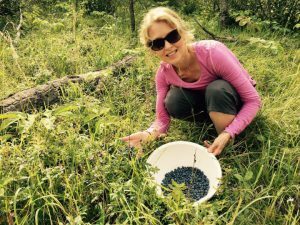 #thingsnutritionistslike - Picking Wild Blueberries | Health Stand Nutrition Consulting Inc. 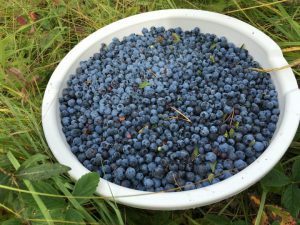 There is nothing sweeter than fresh wild blueberries on my morning cereal at the lake. 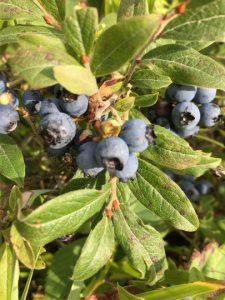 This year, the blueberries in Northern Saskatchewan are a bumper crop. They are everywhere in the forest and the biggest I’ve seen yet. I’ve picked enough to snack on, make a pie, and even take home with me. If I don’t have enough, I can always go and pick more!